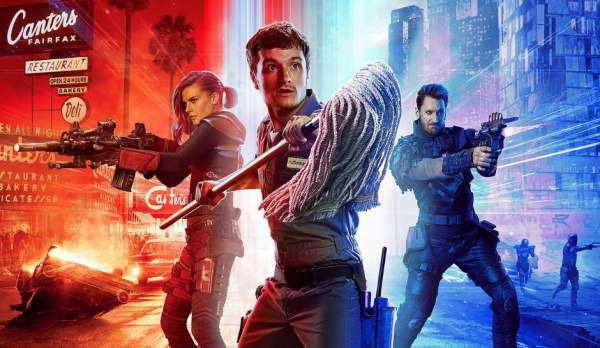 Yes, Future Man season 2 is happening and all the audience are quite excited for this stuff as this show is one of the most loved time travel comedy series ever made. This series is returning back to Hulu to resolve the unresolved cliffhangers from the season1. Hulu recently announced the TCA winter press tour that it is surely going to bring back the sci-fi comedy time travel series. The new season will answer all the unsolved mysteries and answer some twisty question which really put the audience in dilemma after the watching the finale of the first installment. Ariel Shaffir and Kyle Hunter (Sausage Party fame) have created the irreverent show which involves a janitor Josh Futturman to fulfill his dream of becoming the future’s savior. 4 Future Man season 2 release date: When will it premiere? The Hulu original series FutureMan is being produced by Superbad and pineapple Express writers Seth Rogen and Evan Goldberg, but the direction and creator cast includes Shaffir and Hunter. According to Syfy Wire, the originally thought of completing and bringing the season 2 of Future Man was in the form of a movie. But, later on, the crew decided not to wrap up the story as quickly as possible as it would create a bad image on the entire team as well as the storyline wouldn’t be as good as it was in the first segment because the characters have got a long journey to go. The trailer hasn’t been released yet. The cast includes multiple superstars such as Josh Hutcherson, Eliza Couple, and Derek Wilson who are the lead actors and the supporting actors likes of Ed Begley Jr., Keith David, Britt Lower, Haley Joel Osment, Paul Scheer, the late Glenne Headly. Shaffir, in almost all of his interviews, has been seen acknowledging Hulu, the main reason behind FutureMan, as they have always supported the writers’ ideas and has a good relationship with the entire team. Check: Fuller House season 4. “there was never any situation when they (Hulu) heard and went through an idea and replied negatively to them, they indeed have been very supportive and always kept bagging the ideas of the writers and encouraged their scripts, thus motivating the crew to do their best. The Hulu editors never said that the script was too long or short or a little too much to understand the twists”. Josh who works as a janitor in the day and becomes a gamer in the night. Some mysterious people from the future recruited him to prevent the extinction of humanity. The season 1 concluded featuring Josh in his prison cell and then, blue bolts of lightning starts. They grow louder and brighter and the first installment ends. What was that? Was anybody coming from the future or the past? The cliffhanger can lead to anything. Only season 2 will be able to tell us what happened and what is going to happen next. Future Man season 2 release date: When will it premiere? The writers explained that like the original this season will also contain a story. The first season had a lot of mysteries which were sorted out in the finale episode of the S1. However, we could see that the first 13 episodes are the reason for the base of season 2. Well, according to the rumors, the season 2 will bring in an entirely different and new story. It’s because the FutureMan 2 could be set up in an entirely different world due to the time travel shenanigans. Previous articleGroundhog Day 2019 Results: How To Watch Live Stream Online? Did Phil See His Shadow?